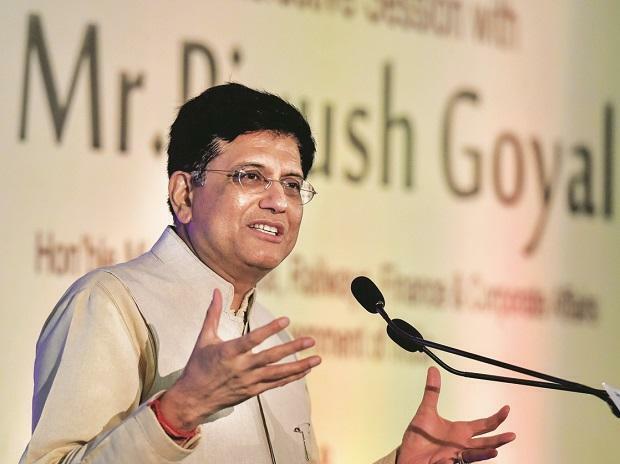 Finance Minister Piyush Goyal on Thursday said the rate cut by the RBI will give a boost to the economy by providing affordable credit to small businesses and homebuyers. The Reserve Bank of India (RBI) has reduced repo rate (at which RBI lends to banks) by 0.25 per cent to 6.25 per cent, a move that will translate into softening interest rates. "RBI's decision to reduce the repo rate by 25 basis point from 6.5 per cent to 6.25 per cent and change of stance to 'Neutral' will give a boost to the economy, lead to affordable credit for small businesses, homebuyers etc and further boost employment opportunities," Goyal said in a tweet. Welcoming the RBI's decision, Economic Affairs Secretary Subhash Chandra Garg said it is a very balanced and pragmatic policy statement. "Assessment of growth and inflation is quite realistic and underlines low inflation and high growth path for India for 2019-20. Welcome change of stance to neutral and rate cut by 25 bps. Also welcome removal of FPI restriction," Garg tweeted. It was stipulated that no foreign portfolio investor (FPI) should have an exposure of more than 20 per cent of its corporate bond portfolio to a single corporate, including exposure to entities related to the corporate. This was decided as a part of the review of the FPI investment in corporate debt undertaken in April 2018. FPIs were given exemption from this requirement on their new investments till end-March 2019 to adjust their portfolios. In order to encourage a wider spectrum of investors to access the corporate debt market, the RBI in its sixth bi-monthly policy said, it is now proposed to withdraw this exposure limit.